Luang Prabang is the ancient capital and oldest city of Laos where is on a branch of the Mekong River, at which point it forms the border with Thailand. The distance from Hanoi to Luang Prabang is about 1225km which takes you about 26 hours riding with amazing mountain view on it's way. - Visit a lot of natural tourism sites in Luangprabang such as: Kuang Si falls, Tat Sae Waterfalls, Pak Ou Caves, Haw Kham Royal Palace Museum and Wat Xieng Thong temple which are attracttive all travellers on the world. 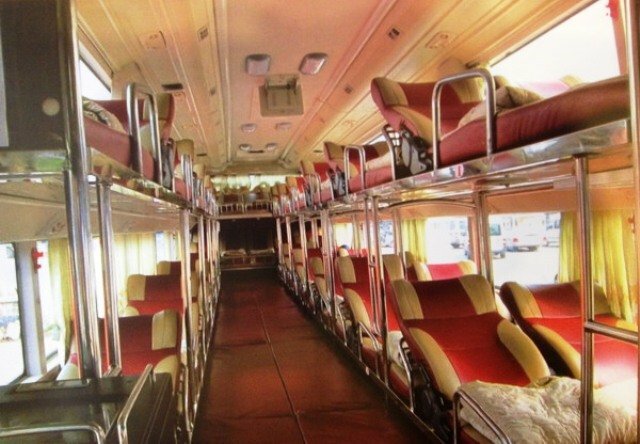 - Taking only transportation to Luang Prabang is a good way for you to do those things by yourself with more freedom. We offer 1 way bus which is everyday departure. 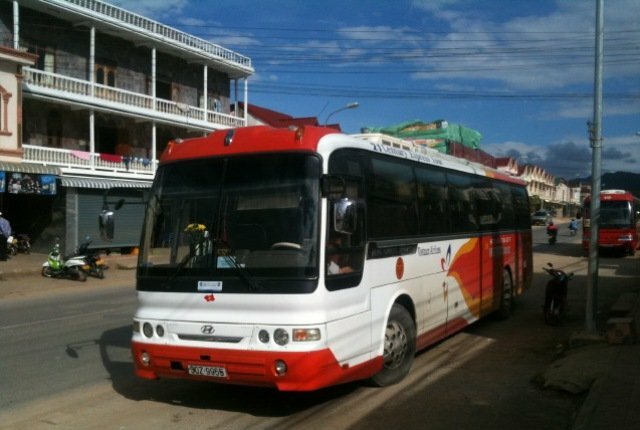 It is very easy to get a ticket to Luang Prabang from Hanoi with Vietnam Local Bus. 4.00: Arrived Nam Can border, stay on bus and wait until to 7.00 am, check visa to Laos, get on bus to Luang Prabang bus station (last stop). 19.00: Arrive in Luang Prabang. Included: English speaking guide picks up, taxi to Nuoc Ngam bus station, bus ticket to Luang Prabang. 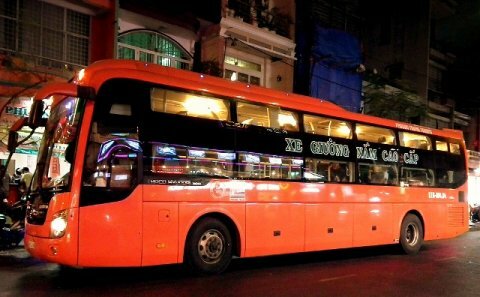 Hanoi Oldquarter – Nuoc Ngam bus staion – Tam Diep town (shortbreak) – Vinh city – Dien Chau - Nam Can Border (shortbreak) – Muong Kham (shortbreak) – Luang Prabang bus station (last stop). Note: Getting to Luang Prabang you should have visa and do not forget the passport before getting on the bus. 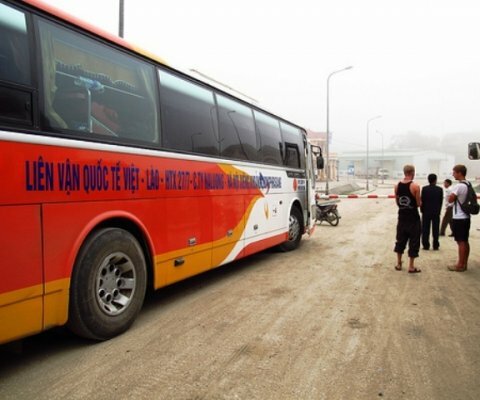 - If you only go to border to get visa then back Hanoi, the price is the same as from Hanoi to Luang Prabang. You can book flight ticket to Luang Prabang from agency or by yourself online at the airport. It costs about 150 USD/ person for the flight ticket on Laos airlines or Vietnam Airlines.